Imagine Italy and you’ll conjure up thoughts of Renaissance art and architecture and delicious food and wine, but this Mediterranean country offers even more. From ski-ready mountains to secluded beaches, from small family-run vineyards to impressive cities like historic Rome (FCO) and fashion-forward Milan (MXP). 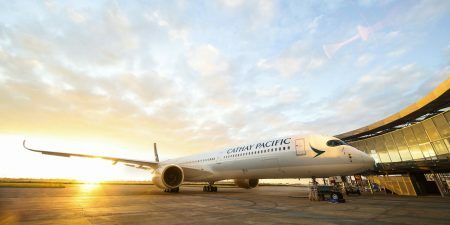 Book your flights with Cathay Pacific today and enjoy on-demand entertainment systems, excellent service, and comfortable seats in a spacious cabin. Enhance your trip with premium benefits from Business or First Class. Feel the Italian culture and passion throughout the country. Get lost in the well-preserved capital of Rome. Visit Vatican City for a glimpse of the Sistine Chapel in the home of Roman Catholicism. Shop the high-end boutiques and designer labels of Milan. Taste some of the world's finest wines in the regions of Tuscany and Piedmont. Ride the train or hike between the tiny villages and fishing towns that make up the cliff-side region of Cinque Terre. Wander the streets of famous hill towns such as Florence, Siena, and Lucca. Explore ancient ruins in Pompeii. Bask in the sunshine in Sicily, Italy’s largest island. Arrive rested and ready to explore the country– fly to Italy with Cathay Pacific today.